Established in the year 2009, we "Proton Engineers", have established ourselves as one of the leading and trusted manufacturer and exporter of Pharmaceutical Machinery. We have expertise in Tablet Section Machinery. Our core strength is the expert technical team that delivers the best quality machines as per the requirement of clients. Our range of products is Tablet Press Machine, Mini Tablet Press, Rotary Tablet Press, Single Sided Tablet Press Machine, Double Sided Tablet Press Machine, etc. The founders of our company are mechanical engineers, who have 10 years of experience in the field of manufacturing pharmaceutical machinery. Under their able guidance, we work with the common goal to provide customers with the highest quality products at a competitive price using latest engineering practices and innovative ideas. We respect our customer’s views and feedback regarding machines to improve the performance and productivity of our machines. Our company is located near Kathwada industrial area, Ahmadabad (India) having a manufacturing facility in 3000 Sq Ft area. We started the manufacturing of rotary tablet press, other ancillary machines for tablet section and dies & punches in the first phase of operation. Our well-trained staff and technicians who help us in producing the best quality machines. We regularly arrange training programs to update the knowledge and improve the skills of our personnel. All our personnel works with the common goal of providing customer-oriented solutions and enhancing the productivity of our machines by using latest engineering practice. "Mr. Hiren Patel", is the mentor of our company. It is due to his guidance and efforts that we have been able to bring our company to such a strong position in both domestic as well as international markets. 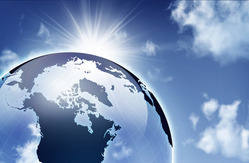 We export our product in Bangladesh, Sri-Lanka, Africa, Kyrgyzstan, Argentina, U.S. A, Canada. 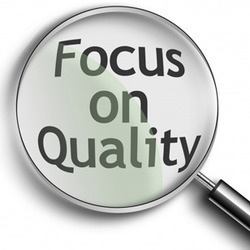 Quality is our main forte and we lay strong emphasis on the quality standards of our machines that enable us to deliver total satisfaction to the customers. 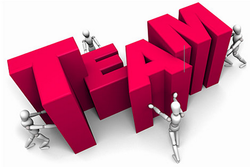 We have with us a team of quality controllers who ensure that quality is maintained in all possible aspects. As a quality driven organization, we ensure to maintain the quality of our machines at each and every level of the working process. This enables us to offer our range of machines in accordance with the prevailing quality standards of the industry. Our machines undergo stringent quality checks under the supervision of our team of high-quality conscious professionals. Our quality personnel makes sure that the raw materials used for manufacturing the machines are all tested on various parameters before procurement. They also monitor all the stages of production to make sure that all the chances of defects and malfunctioning are eliminated. Our people are our strength. We have with us a team of dedicated and experienced professionals who have excellent knowledge and expertise in manufacturing precision engineered pharmaceutical machines. Our team has considerable understanding of working of these machines and is capable of manufacturing both standard and customized products. We arrange for continuous training sessions that impart the relevant knowledge and skills to analyze the customer needs as well as stringent process demands. 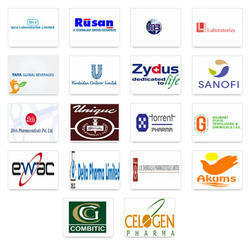 We serve the giant pharmaceutical industry of the country with our state of the art pharma equipments. Our equipments have great appreciation in the export market also for the precision which they are manufactured.